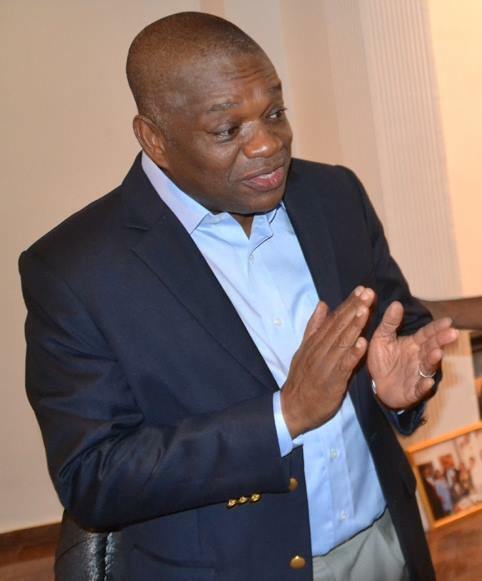 Orji Uzor Kalu, former Governor of Abia State and chieftain of the All Progressives Congress (APC), has taken a swipe at the former President Olusegun Obasanjo, over the latter’s continued attack on the President Muhammadu Buhari-led administration. He claimed that the former President brought corruption in the country, which then impeded the economic growth of Nigeria. Kalu, who made this known in his speech during the APC presidential rally held in Aba, Abia State, on Tuesday, also berated Obasanjo for trying to truncate the nation’s democracy with his third term agenda. According to him, “I saw a man, called Olusegun Obasanjo attacking Mr. President. Obasanjo was a President who brought corruption in Nigeria. “Obasanjo is a man, who told everybody that he never wanted third term, but, he wanted third term. My problem with him was his third term agenda, my problem with him was that he (Obasanjo) called me and former Speaker, Ghali Umar N’Abba that we should change the electoral bill. “I signalled N’Abba in his room and I said, N’Abba, we cannot do this. Obasanjo turned himself to be a dictator. How can you compare Obasanjo and Buhari together. Is there any comparison? No. Mr. President had no comparison. “Buhari want the judiciary to be truly independent. The judges in Abia have told me that they are in the process of receiving their salaries directly from the federal government. “You have seen our roads, since I left as Abia governor, look at our roads, we have never had any new road. When they go to Abuja, they will tell Mr. President all kinds of lies, that Abia is not APC. “February 16 presidential election is around the corner. The popularity of the party (APC) will be tested in this soil (Abia). Abians are ready. We are going to give him 70 per cent votes from this Abia State, to the glory of God”. Kalu, however, canvassed total support for the APC gubernatorial candidate in Abia, Uchechukwu Ogah, in the forthcoming governorship election in the state. He said, “Uche Ogah had been tried and tested. He is coming from the private sector the way I came. I have confidence that he will deliver dividends of democracy to the Abia people if elected as governor”.